Rudolph is in a Prince cover band called Princess. 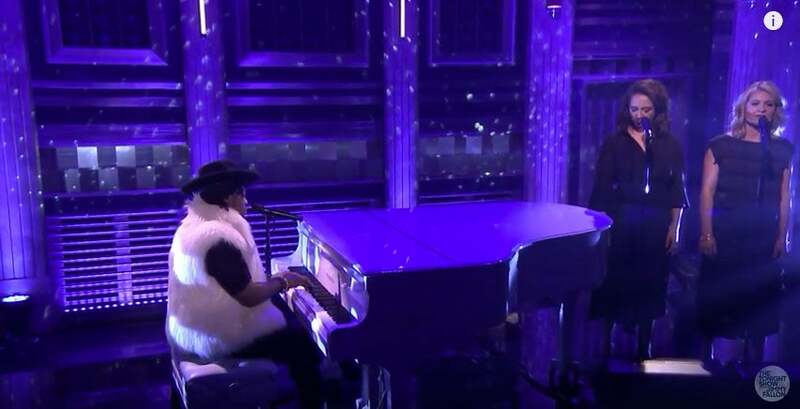 She joined D'Angelo on The Tonight Show. D’Angelo played the piano and sang while Rudolph and Lieberum sang background vocals. Earlier this week, Rudolph and Lieberum also paid tribute to His Purple Highness during a gig in Austin, Texas. The band covered everything from “Controversy” to “Let’s Pretend We’re Married” and did a 13-minute long encore of “Purple Rain” while tossing flowers into the audience. “Dearly beloved, we are gathered here to celebrate the one-of-a-kind, most brilliant, most special, most magical, most f***ing incredible Prince Rogers Nelson. He was our hero. We loved him. And he has completely shaped our world. We’re going to do this together, am I right?” Maya shouted to the crowd.